We are Melissa, Keith, Max and Zoe. I’m a travel planner and photographer. The majority of my days are spent writing on my blog, hoping to inspire families to travel, or planning fabulous trips for busy families. Keith is a strategy and finance guy. Max and Zoe are just busy being kids! We are a family who loves to travel. By the time Max was 4 years old, he had been to 13 countries. Zoe went to 6 countries by the age of 18 months. We were fortunate enough to live in the Middle East for three years and were able to travel to distant places from there, but since we have moved back to the United States, we have continued traveling. Travel is what keeps me alive, and we try to plan our work and professional lives around it, rather than the other way around. We firmly believe that anything from a two week vacation to South America to a two day excursion to Vail is possible with young children if planned well. 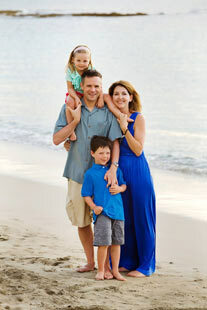 My goal is to help other families such as ours plan and execute a fun vacation–both with or without kids! I am a travel advisor with Departure Lounge Travel. Departure Lounge is an innovative travel agency with independent contractors all over the world. I’m also a contributor on Suitcases and Sippy Cups if you’d like to check it out! In addition, I am a freelance photographer, building my travel photography portfolio one day at a time!